This 80-hour program is designed to support beginning to intermediate level Lushootseed language learners become skilled at using language in the home, as well as in the classroom. This course will instruct students on language use as the foundation of language revitalization. Students will learn language skills for daily activities, conversation, games, and teaching. The course will be taught at the beginning level and will assume no prior experience with the language; however, those with Lushootseed language knowledge at any level are welcome. Course includes 80 OSPI Clock Hours for Washington State educator. Topics include: song and dance, linguistics, conversation, reclaiming domains, video language production, language immersion, language advocacy, history, and geography. Share the historical, geographical and cultural context of the Lushootseed language in the Pacific Northwest. Use four Lushootseed songs to reinforce language learning. Understand Lushootseed phonetics and morphology. 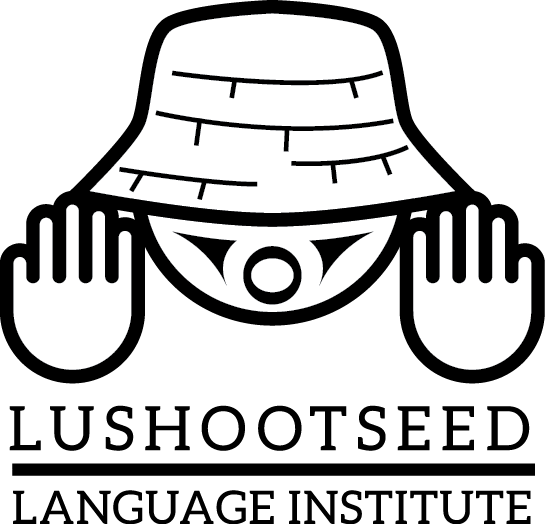 Converse with others in Lushootseed for 10-20 minutes using basic sentences. Understand the concept of reclaiming domains. Plan and incorporate Lushootseed language learning games into daily activities. Create a Lushootseed video for social media. Lushootseed, a central Salish language, is the indigenous language of several American Indian tribes in Western Washington. This program is made possible by a generous contribution by the PUYALLUP TRIBE OF INDIANS who support Lushootseed language revitalization in the local community.